My edges have been filling in nicely. My hair on the right side seems shorter. It has always been that way since I went natural. The back was gathered into a small bun. 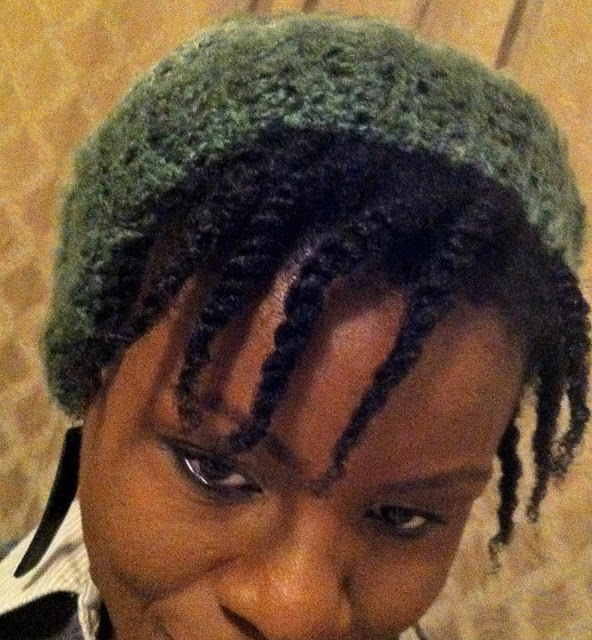 I have always liked neat-looking twists but I KNOW that my hair prefers to be twisted loosely. In fact, they can be looser than the ones shown here. Loose twists are very kind to fine hair. 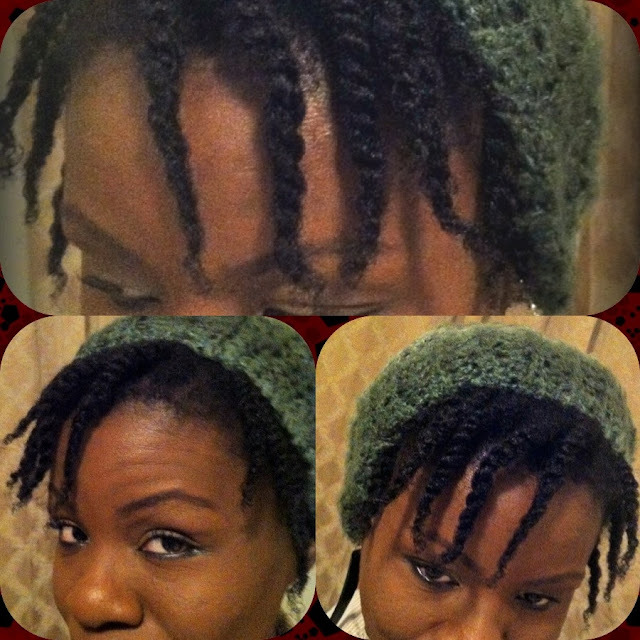 I will be trying loose twists in smaller sections very soon. However, I will be using Shea butter to get my hair stretched as much as possible.What about you? Have you tried loose twists? I really like your beanie and your twists are cute.